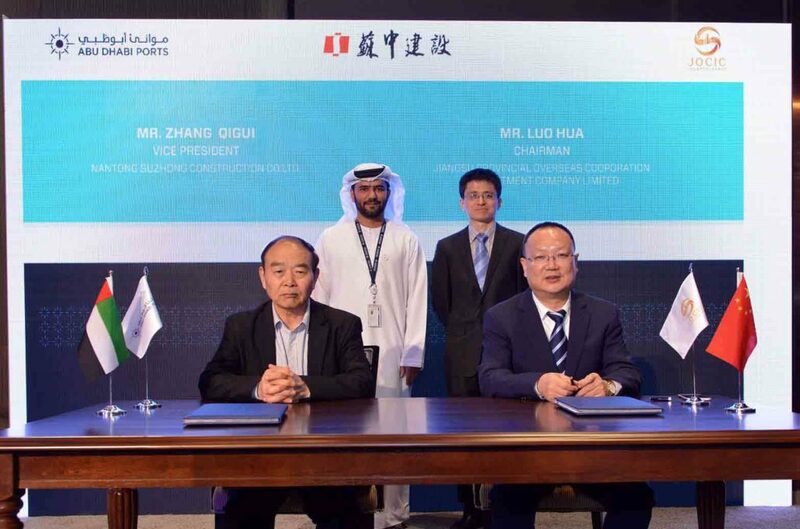 (Abu Dhabi) – Abu Dhabi Ports and the Jiangsu Provincial Overseas Cooperation and Investment Company Limited (JOCIC) announced that 15 Chinese companies have signed agreements to invest in Khalifa Port Free Trade Zone (KPFTZ), the largest free zone in the Middle East, totaling $1 billion in value. 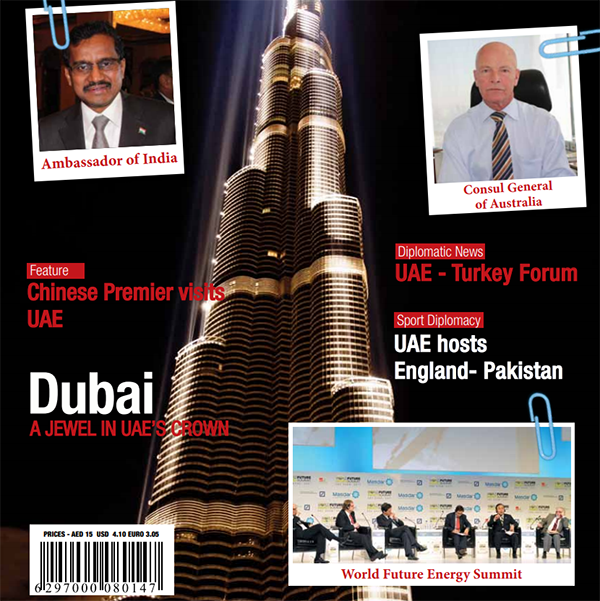 Under the terms of last years’ investment cooperation agreement, China-UAE Industrial Capacity Cooperation (Jiangsu) Construction Management Co., Ltd., a UAE company established by JOCIC, would occupy and develop approximately 2.2 square kilometres of the free trade zone for companies from the Chinese province of Jiangsu. This area, now dubbed as the China-UAE Industrial Capacity Cooperation Industrial Park, is part of the KPFTZ and is expandable to reach 12.2 square kilometres. During a visit to Abu Dhabi by JOCIC representatives from China, delegates were also invited on a tour of the industrial zone to see, first hand, the growth of industry as well as the variety in sectors. On the sidelines of the visit, three new Chinese companies entered into agreements to invest in KPFTZ and lease space. 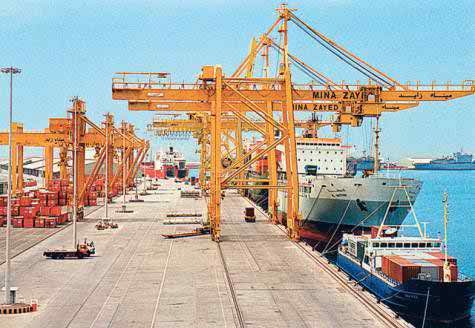 Nantong Suzhong Construction Co. Ltd., Lianyungang Anlun Oilfield Chemicals Co., Ltd., and Jiangsu Dafeng Port Holding Group will inject a further $47 million into KPFTZ. 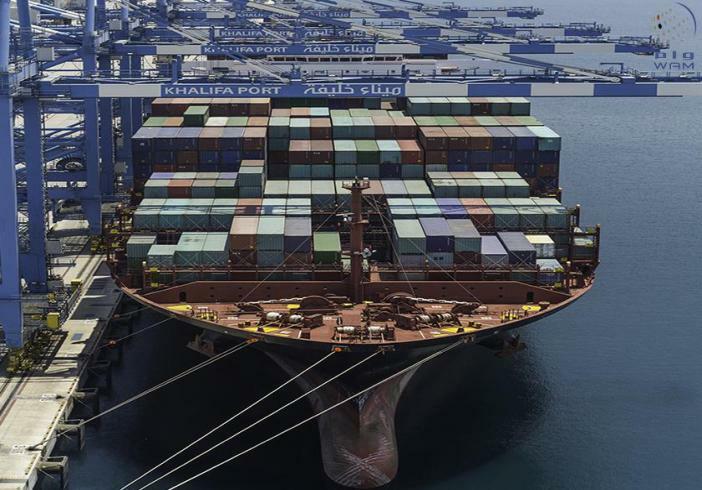 Abu Dhabi Ports and JOCIC also revealed that preliminary work required before commencement of construction will soon reach completion with a ground-breaking date anticipated within the coming month. These new milestones highlight the commitment of both the UAE and China to develop the China-UAE Industrial Capacity Cooperation Industrial Park as an important landmark, supporting both the Chinese “Belt and Road” initiative as well as the UAE Vision 2021. 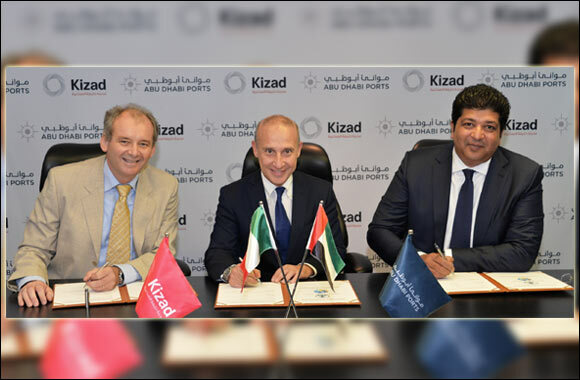 Commenting on the occasion, Captain Mohamed Juma Al Shamisi, Chief Executive Officer at Abu Dhabi Ports, said: “Thanks to the direction and guidance of the UAE leadership, KIZAD has established its reputation as an attractive investment and trade hub for entities around the world looking to expand in the region. Our value proposition, connectivity and state-of-the-art infrastructure, as well as our strategic partnership with JOCIC, has been pivotal in cementing our position in the Chinese market and enhancing our competitive advantage. “Last year, Abu Dhabi Ports and JOCIC took the first steps to a promising future relationship that will bolster economic and trade ties between our two countries even further in addition to supporting each nations growth strategy. Today, we celebrate a key milestone in our collaboration and look forward to the continued success of the China-UAE Industrial Capacity Cooperation Industrial Park,” he added.